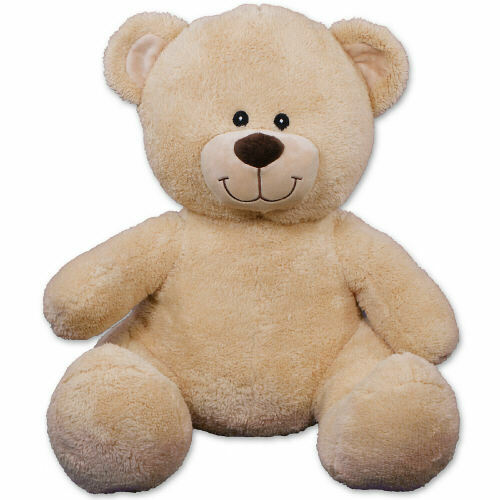 A wonderful Christmas is sure to be had when you present your special someone with this lovable Christmas Teddy Bear. This Custom Christmas Bear makes a wonderful holiday keepsake because you can personalize the t-shirt with any three line custom message for free! 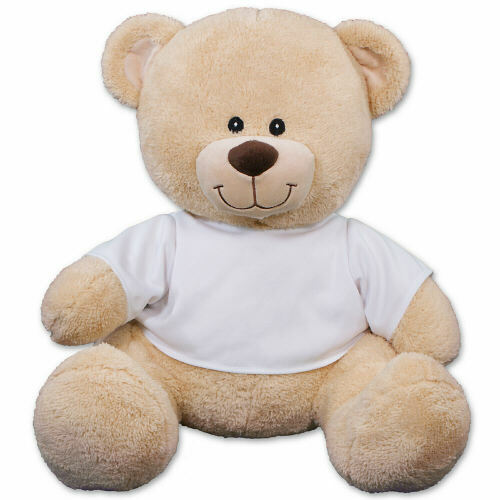 The Personalized t-shirt is featured on our Sherman Teddy Bear. Sherman has an irresistible look on his face along with a wonderfully soft feel. He features contrasting tan fur on the inside of his ears and his snout. He measures about 11” and makes a wonderful gift for any occasion. Free Gift Wrapping and a Free Gift Card are included to create a thoughtful presentation. it was very cute and soft. it was my granddaughters first bear, she was born last aug. it was for her first christmas, from grandpa. hope she has it for years. it was perfect gift. Very cute and so soft. The perfect size for a toddler. The site stated that the bear that I purchased was 13" but it looks MUCH smaller. Additional Details With the Christmas season underway, complete your shopping with a Personalized Christmas Teddy Bear for someone special in your life. Our plush Christmas Bears become unique treasures to enjoy for a life time. You'll also really enjoy our Embroidered Santa Hat Teddy Bear & our Personalized Poinsettia Teddy Bear as well.